I enjoy GMing at conventions. Con games give me an opportunity to explore story lines that just wouldn’t fit in with my regular campaign setting. I also enjoy the challenge of putting together a full one-session module complete with characters tailored to that story. It’s nice to write something with a bit less complexity than a full campaign, but with a rich enough environment to allow the players to let their characters wander a bit. Sooner or later they are likely to find some rope to hang themselves with, and that of course is my favorite part! 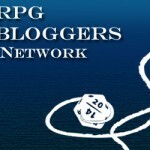 An Environment of Excellence: World of Darkness (Innocents) – New for RetCon 2012!